Closeouts. 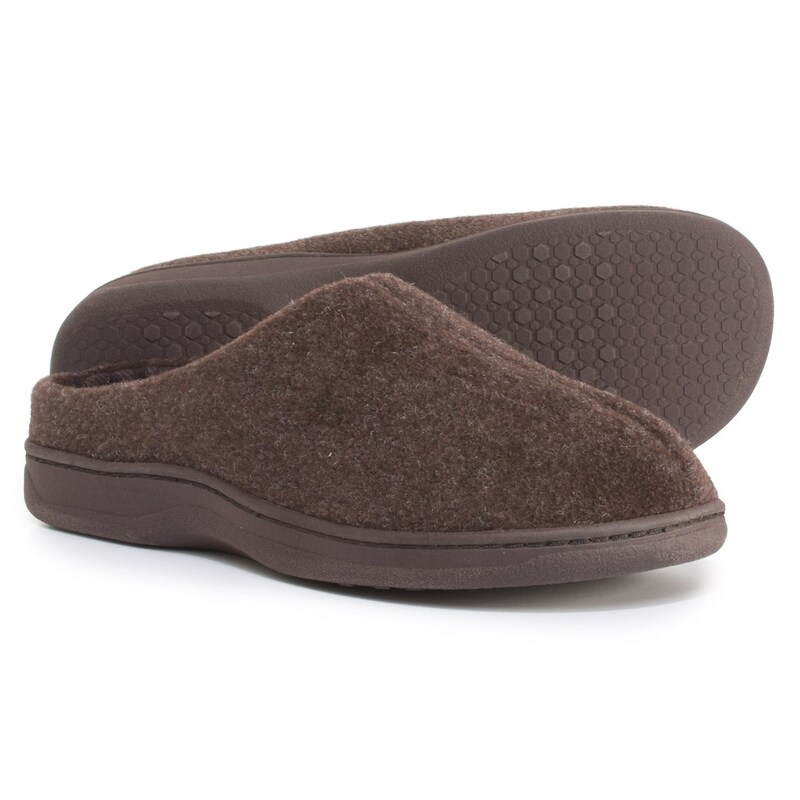 Velvety-soft fabric and thick memory-foam cushioning make these Dearfoams Sueded clog slippers something to look forward to after a long, hard day! Durable slip-resistant outsole can handle quick trips outdoors, too.